SEDGWICK COUNTY — The Sedgwick County Sheriff’s Office is no longer looking for the 1997 Dodge 1500 pickup in connection with the murder of John L. Gaffney. Deputies have locate the pickup, according to Lt. Tim Myers. Deputies continue to ask for the public’s assistance with any information regarding the homicide, or if anyone had contact with the victim between Thursday evening, July 5, through Saturday afternoon, July 7, 2018, please contact Sedgwick County Sheriff Investigations at (316) 660-5300 or Crime Stoppers at (316) 267-2111. SEDGWICK COUNTY —Law enforcement authorities are conducting a murder investigation and asking the public for help to locate a missing pickup. Just after 3 p.m. Saturday, sheriff deputies were dispatched to an unknown call for Emergency Medical Services (EMS) in a rural area, the 4500 block of West 57th Circle North, according to Lt. Tim Myers. Deputies located a deceased man in the residence identified as 67-year-old John L. Gaffney. Authorities are still looking for Gaffney’s 1997 Dodge 1500 pickup. On Thursday, deputies released images of the green pickup white bed. The license plate on the truck is Kansas 388KER. Anyone who sees the truck should call 911 immediately, according to Myers. Mr. Gaffney -photo Sedgwick Co. Anyone with information regarding the homicide or if anyone had contact with the victim between Thursday evening, July 5, through Saturday afternoon, July 7 should contact Sedgwick County Sheriff Investigations at (316) 660-5300 or Crime Stoppers at (316) 267-2111. SEDGWICK COUNTY — Law enforcement authorities are investigating a death and asking the public for help to locate a missing pickup. 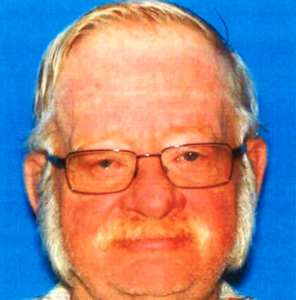 Deputies located a deceased man in the residence identified as 67-year-old John L. Gaffney. 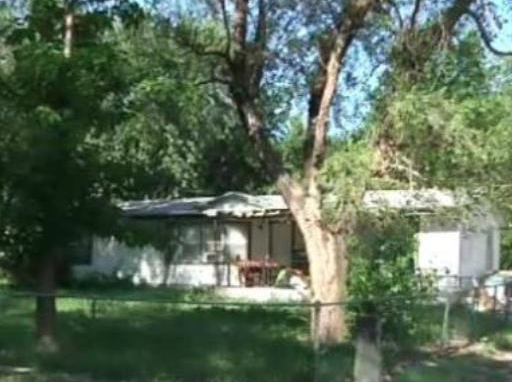 Due to the circumstances surrounding the death, this case is being investigated as a homicide, according to Myers. During the initial investigation, it was discovered the victim’s vehicle was missing from his residence. 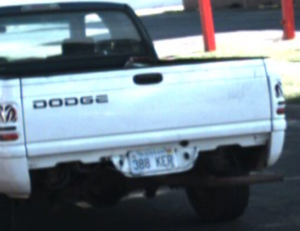 The Sedgwick County Sheriff’s Office is looking for a 1997 Dodge 1500 pickup. The pickup is green with a light, possibly white, colored bed. The Kansas license plate on the truck is 388KER. We are asking anyone who sees the truck to contact 911 immediately. We are also asking for the public’s assistance with this investigation. If anyone has any information regarding the homicide or if anyone had contact with the victim between Thursday evening, July 5, 2018 through Saturday afternoon, July 7, 2018, please contact Sedgwick County Sheriff Investigations at (316) 660-5300 or Crime Stoppers at (316) 267-2111.